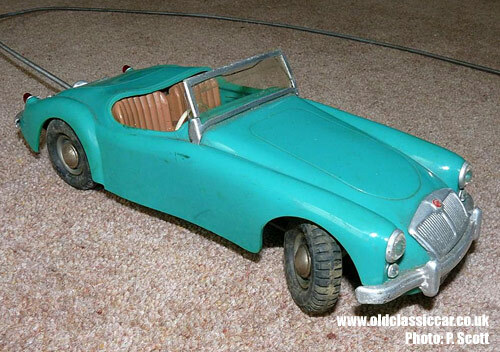 1950s MG MGA toy cars by Victory Industries. A classic British plastic toy. 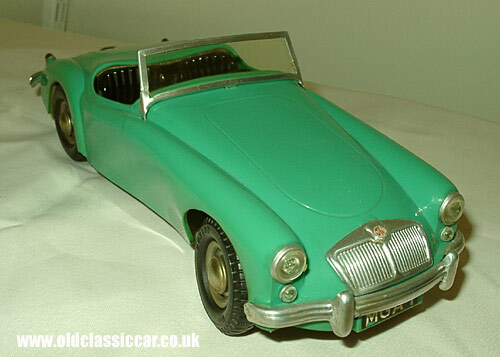 "The MGA is interesting, it is LHD with correct dash in Tyrolite green which was an official MG colour. They are usually warped as the plastic is more unsupported than the TF." Thanks for sending the photos of your toy MGs, talking of warpage - I remember seeing a Standard 10 that had been produced by Victory Industries, and it had suffered really badly, the whole bodyshell was terribly distorted. It was a real shame, it was even the same colour as the real Standard I owned back then (I've now added in a photograph of just such a car - but in fine fettle - to the Victory Industries Standard 10 toy page). 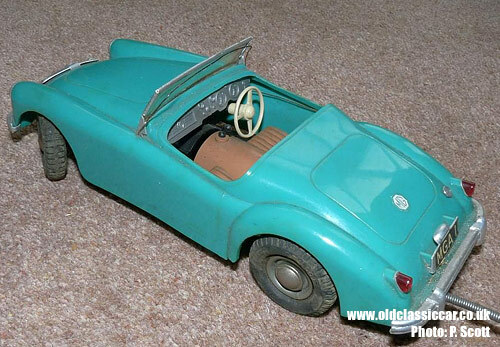 Peter sent over an email in 2012 with details and photographs of the pale blue/turquoise toy MGA that he purchased new. Again it is a product of Victory Industries. Unlike Alan's car, Peter's is RHD and has a remote control unit, connected via a cable exiting the rear of the car. The controller handled the steering. 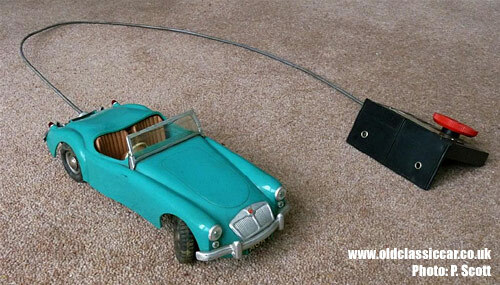 It also incorporated the battery which powered the car backwards and forwards as required. Thanks for the pictures. or the Classic toys main page. 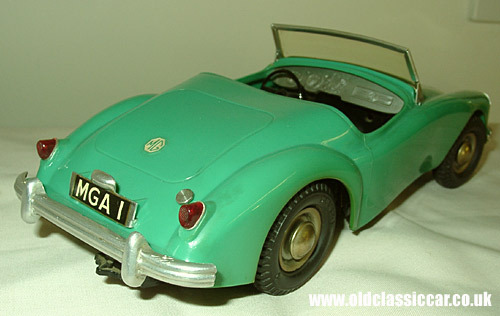 A period photo of a real MGA Roadster can be seen here.